You know you want to start your own consulting business, but not sure which steps to take? In this guide we will help you figure out exactly what it is you want and then how to take action on it. For many in the corporate world, achieving flexibility, control, and a satisfying work-life balance can seem an impossible task. 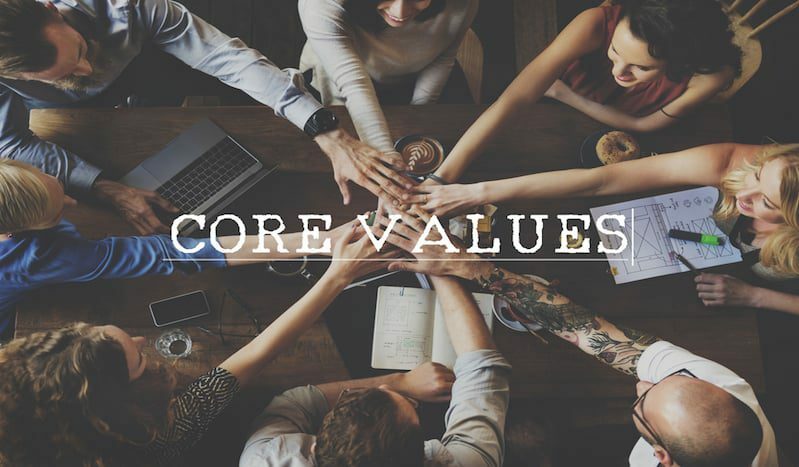 While belonging to the corporate world certainly comes with some attractive-looking perks, many have begun to question whether the 9-to-5 life working to build someone else’s dream and fill someone else’s pocket is worth all the safety nets and benefits that come with it. What’s more, with the carnage of the global financial crisis still fresh in our minds, many suspect that those safety nets and perks aren’t quite as safe or perky as they once were. For the observant, this is simply a sign that the world economy is transitioning from the corporate era into an era of entrepreneurship, as Taylor Pearson explains in his book, The End of Jobs. Either way, whether you’re looking to escape the oppressive nature of corporate life or simply want to stay at the forefront of the new economic era, you have likely considered breaking out and doing your own thing. If you have, you are not alone. 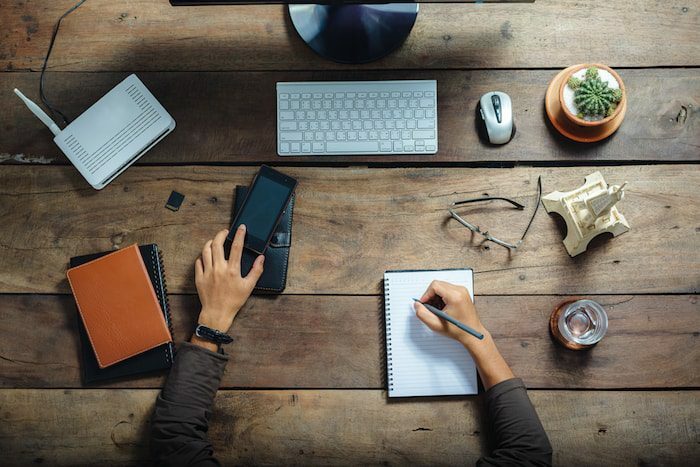 According to one survey, the number of freelancers in the United States hit 55 million in 2016, making up approximately 35% of the U.S. workforce. Not only that, but freelancers seem to be doing very well for themselves. Many independent professionals are experiencing great financial success. As a group, freelancers earned $1 trillion in the past year. But it’s not just the money that makes this line of work so attractive. There is great freedom and flexibility in setting your own hours, choosing your own clients, and selecting your own office location. In fact, only 19% of independent professionals expect to return to traditional employment following their exploration into the world of contractual business. This trend toward independent work is due, in part, to the shift not only to an entrepreneurial economy but also to a project-based economy in which work is split into small parts allowing for maximum focus on providing specific results. Expert knowledge in niche spaces is rewarded in such an economy (more on this in a minute). The bottom line is that all of these new economic trends imply that you can find great success becoming an independent consultant in almost any field where you have a respectable level of expertise. A new era of the independent business consultants is on the rise. As a group, freelancers earned $1 trillion in the past year. In a nutshell, a consultant is an experienced professional who provides advice and/or services in their specific area of expertise. It follows that an independent consultant is an individual who does so independent of a consulting company. This may seem obvious, but it is important to note that not all consultants operate independently. In fact, the consulting industry has long belonged to the corporate world — for over a century, actually. The first management consulting firm, Booz Allen Hamilton, was founded in 1914, and the behemoth that is McKinsey & Company was established soon after. As the world economy grew following the end of WWII, so did the consulting industry. As globalization began to extend its reach, it became easier for businesses to reach more and more consumers. However, with this rapidly expanding market, it became increasingly more difficult for companies to know everything about their new consumers and to successfully manage such large-scale operations. To overcome these obstacles, businesses reached out to experts with the knowledge they lacked who could advise them on how to proceed. And, for many decades, they found these consultants at large consulting firms such as McKinsey or Bain. It was a perfect fit: consultants from large consulting firms advising businessmen from large businesses. It was a direct corporate-to-corporate relationship. However, globalization has now extended its reach so far that a new era of independent consulting is not only possible but also in demand. The deeper transformation taking place in the global economy — the shift from a corporate economy to an entrepreneurial one that favors niche, project-based work — means that the tools once available only to large corporations have now been democratized, putting small businesses back on the map. These small businesses, however, look nothing like the quaint ma and pa shops that were crushed by large corporations just decades ago. Rather, these are small businesses ready to compete in a globalized world through e-commerce, social media, the blogosphere, and beyond. They are using every tool available to them to reach their market and, more often than not, they are looking for a consultant to help them achieve their business goals. But here’s the most important piece of information in the whole equation: they aren’t looking for a corporate consultant. They are looking for an independent consultant. You. They want a small business consultant who can provide them with the resources, advice, and skills to help them get started, improve what they’ve already put in place, or diagnose and remove the issues keeping them from progressing. 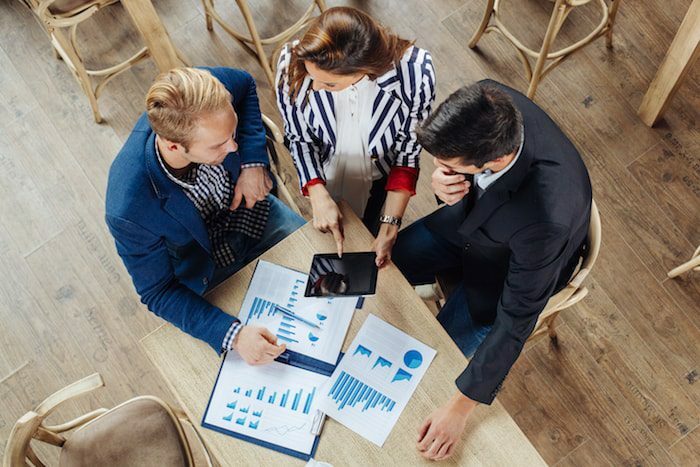 Corporate consultants are part of a different world with which many of these new small business owners do not connect. Some may see the corporate consultant as aloof or unattainable (i.e., you’d have to be Apple to get one), but the truth of the matter is that they just aren’t the right fit. Small businesses aren’t Google or GE or Netflix (at least not yet) and, as such, their needs are very different. They don’t need a corporate consultant. It is this vacuum that has created the fertile ground for independent consulting. Just as the corporate era saw the growth of corporate consultants, the entrepreneurship era requires small business consultants for small business owners. What does an independent consultant do? We’ve already established the basic explanation of what a consultant is — someone who provides advice and/or services to clients in their area of expertise — but how exactly do they go about doing that? First of all, whether they like the label or not, independent consultants do fall under the category of freelancers. All this means is that they sell their work by the hour, day, project, etc. to various clients on a contract-by-contract basis, rather than on a regular salary basis for a sole employer. In simpler terms, they are a contracted employee rather than a salaried employee. This is an attractive setup for the employer because they can obtain a consultant’s services without having to offer them insurance and retirement benefits. It is an attractive setup for the consultant because they can divide their work up between many employers who, individually, may not have enough work to hire them full-time, but are each willing to pay handsomely for their services. It is a win-win situation: employers pay less by eliminating the costs of training and benefits for a full-time employee and consultants earn more by obtaining contracts with multiple employers. The quick answer to that question is that anyone can be a consultant. The long answer is that anyone willing to follow through and execute all the steps listed below can become a consultant. In other words, you’ll have to keep reading to really find out. But the short answer really is anyone. Thanks to technology, it has never been easier to set up shop, network, and deliver your services than it is today. So, technically speaking, pretty much anyone who wanted to become a consultant could grab a domain name and start their own consulting business. What are your qualifications? Have you worked in the industry long enough to be considered an expert? Is your knowledge up-to-date or are you depending on something you learned back in your college classes years ago? Could you write a book about your topic? How would you describe your expertise on your website to attract clients? Do you have the proper certification of license to offer the services you want to provide? There is an important distinction to make here. For some, a certification or license may help only to give further credibility to their many qualifications. For others, it is a requirement. An accountant, for example, MUST be certified in order to offer their services anywhere, anytime. A business consultant, on the other hand, will gain more credibility by building up a portfolio of experience working with successful businesses than getting into debt pursuing an MBA. Are you organized? Are you a self-starter? How do you handle working with unconventional schedules? Are you competitive? Do you like to plan your day? How are your time management skills? Will you be able to focus from a home office or do you need to rent an office space or get a membership at a coworking space? Networking is an essential skill for any consultant. Sincerely ask yourself: Do you like to network? Do you have contacts already? If you don’t, do you have the social skills to reach out to new people and establish relationships in order to build a client list and a support network for your new business? It takes a significant amount of time and energy to open and operate a successful consulting business. What are your time commitments in the near future? Can you dedicate a good portion of your days, weeks and coming months to getting a business off the ground? Is this something you plan to do long-term? If not, perhaps reconsider and find a path toward location independent income that does not require such a time-intensive investment upfront. How will you protect yourself and your family during the startup period? Do you have a contingency reserve? How long can you live off of it? Is it sufficient to pay for living expenses and the costs of starting your business until you get your first paying clients? What about insurance for your business? And without the benefits that come with a regular corporate job, how will you pay for health and life insurance and plan for your retirement? Once you take all of these questions into consideration, you are ready to begin your journey toward becoming an independent consultant. While the best way to learn is by doing, here are some guidelines to get you started. Begin by making a list of your various skills, abilities, passions, interests, experience, work history, hobbies, personality, knowledge, talents, and expertise. It doesn’t necessarily have to be something you studied or did in your old job to make it onto the list. Just answer the general questions: What are you good at? What do you like to do? And, most importantly, what value can you add to the world? From there, make a list of the problems in your industry. What complaints do you always hear from customers at work? What inefficiencies do you see in your work environment? What simple solutions can you observe to big problems that you have never implemented simple because you aren’t the decision-maker? If you are considering a new industry, what experience and insight could you bring to this new field that would give you an advantage over the competition? What problems could you solve based on your knowledge and experience in another area that has been overlooked? Next, get more specific. Instead of asking the broad question of what value you add to the world, ask yourself what value you can add to your clients. Which of your many skills will help them solve their biggest problems? Picture your ideal client and then walk through how you would meet their needs. Once you have a general idea of the expert skills and knowledge you can offer others, it’s time to find your niche. The most successful consultants are those who can clearly articulate their area of expertise with precision because it allows them to package their services into a virtual product that they can then sell to clients. The following is a list of some of the top consulting fields. It is not an exhaustive list and should only be used as a starting point from which you can then narrow down even further to find your distinct segment of the market. Every business needs an accounting service. While some small business owners will try and do it on their own with accounting software, every business that reaches a certain level of success will need an actual accountant to guide them through the various reports, data, financial forecasting, and taxes. Accountants can also help determine the profitability of a business and point out where money can be saved. If you are a certified accountant, transitioning from the office to location independence should come with ease. 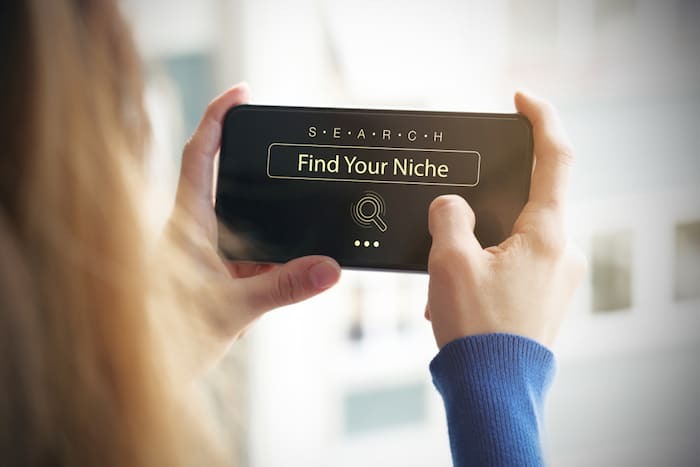 This is an area where you can easily target a niche audience, especially if you have built up your expertise in one particular area of accounting. For example, I always work with accountants who understand taxes for expats. Such accountants are few and far between, so when I find someone of quality who works in that niche, I hold onto them. A subset of marketing, advertising is another great service that you can offer from just about anywhere. Consultants can continue to niche down by offering very specific services to their clients. Whether they are pitching new advertising campaign ideas or helping bring a general plan into focus, advertising consultants will work closely with businesses to bring on new clients and attract more customers. While a degree in advertising or marketing may help, the most important qualifications you will need as an advertising consultant are your experience and your network. One of the great opportunities that I see for advertising consultants who want to travel is to network and learn the most successful advertising practices in an emerging market and then help clients from the West interested in entering those markets to make the right connections and advertising decisions based on that unique market. If you are an experienced auditor, becoming an independent auditor can be a natural transition. One of the key roles an auditor plays is as someone completely unaffiliated with the business whose financial records they are examining. This requirement lends itself easily to working independently and hiring your services out to various companies to help them meet government auditing requirements. For example, Hong Kong requires all businesses incorporated in the country to perform an annual audit. Whether you market your auditing services to businesses in Hong Kong or another location, becoming an auditing consultant could allow you to exit the office and enter a life of traveling the world as you work. Another subset of marketing, branding consultants can offer a number of services to a wide audience. 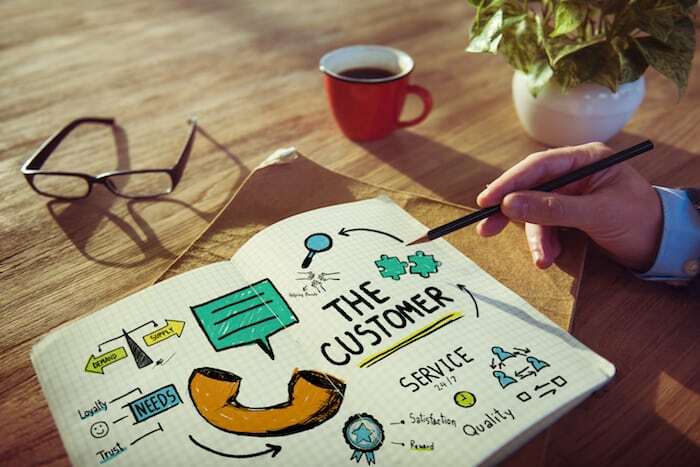 From gathering data to conducting market research, branding consultants help their clients pinpoint target markets and evaluate customer perceptions, business trends, product value and the competition. This research is then used to create comprehensive brand strategy, influencing everything from logos to pricing to advertising and package design. Branding is another natural fit in the consulting world because companies need an outsider to come in and provide an objective evaluation of their business. Online businesses are a growing area for brand consultants. 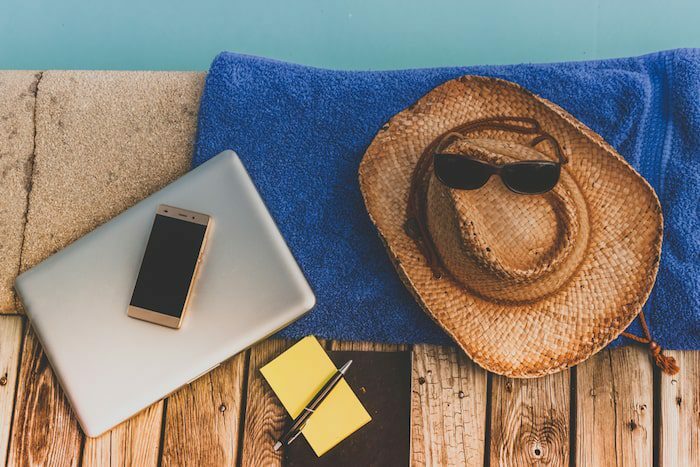 For those looking to travel while working, services such as website audits, market analysis, keyword research, content marketing, and one-on-one strategy sessions are a great way to offer your branding skills. Regular business consultants are one of the most sought after consultants in the industry. While it is a broad market, you can set yourself apart based on the types of businesses you help and the specific services you offer. For example, a business consultant could teach someone just starting their company how to design a business model or marketing plan and then help them implement those plans. They could also teach current business owners practical skills such as time-management, decision-making, and how to avoid procrastination and distraction. Or they could market their skills to someone looking to sell their business who needs help navigating through the process successfully. The are numerous options. 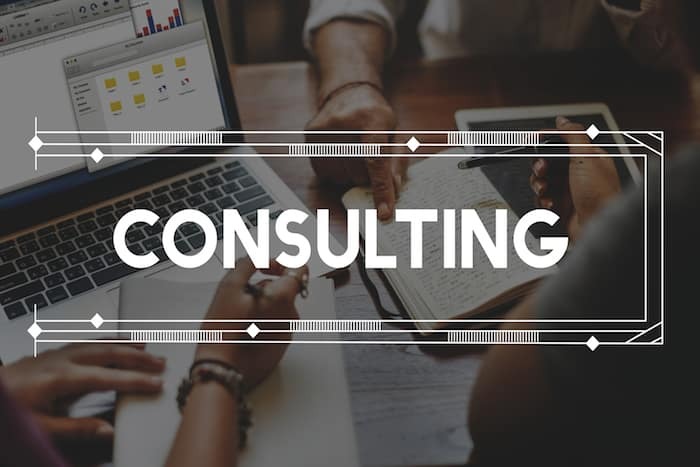 Consultants can focus their services on one specific area or they can market themselves as the expert who helps their clients with various challenges and overall business strategy. You could take a different approach to the demise of the corporate world by serving those folks who have become victims of corporate downsizing. As a career consultant, your goal is to help people make educated decisions about their career and provide them with the tools to meet those goals. Common services include reviewing resumes and LinkedIn profiles, teaching cover letter writing, giving one-on-one counseling, testing to analyze aptitudes and skills, designing a job search strategy, discussing educational options and requirements, and coaching for everything from job interviews to negotiation to leadership and networking. A career coach can offer their services from pretty much anywhere in the world as they help clients gain greater confidence in their abilities and guide them toward a career they enjoy and for which they are qualified. Beating out business consultants, computer programmers are the most sought-after consultants of today. From designing websites to bringing smartphone apps to life to solving IT problems, everyone needs a computer programmer. If you’re good at what you do, you will have an endless supply of clients waiting to pay you handsomely for your services. It is also possible to run your own computer programming business while traveling the world, just another perk for the tech savvy. 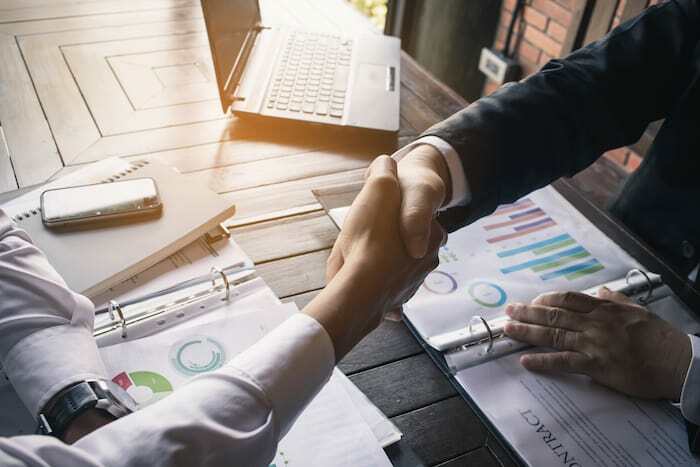 Becoming a financial consultant is one of the most arduous paths to consulting, often requiring graduate studies to even be considered for a job. In addition, most financial consulting jobs require you to have a certification as a certified financial planner (CFP), personal financial specialist (PFS), or chartered financial consultant (ChFC). You will also need considerable experience as a financial planner. Because the bar is so high, financial planners who choose the independent route are a rare jewel to the small business community. If you have the experience and are willing to help companies and individuals plan their financial futures in regards to taxes, investments and insurance, you have a high probability of success. If you like problem-solving on a macro level, your “niche” might just fit into the broad field of business management. Management consultants take a look at the big picture and help their clients advance their businesses by finding new and better ways of doing things. They can help develop services, reduce costs and even find ways to save. Unlike financial consultants, management consultants have fewer mandatory certifications. The most important skills for a management consultant are strategic planning, business analysis, interpersonal skills to listen to and work with businesses, as well as a good dose of creativity. The best news is that, even on the corporate level, business management consultants usually need to be mobile — a perfect fit for an aspiring world traveler. Marketing is another great consulting niche for those who like to see the big picture. A marketing consultant will provide a client with in-depth research on marketing trends, data, promotions, branding, media channels, demographics, sales results and more. They will recommend specific marketing approaches based on a client’s business needs and according to their budget and sales goals. They will also track sales and feedback in order to adjust each client’s personal marketing strategy. This is just a first glance at some of the main consulting industries. Other consulting and freelance opportunities that you can offer independent of location are communications, dating and relationship coaching, editorial services, fund-raising, grantsmanship, graphic design, health and nutrition coaching, human resources, insurance, manufacturing, operations, payroll management, product development, public relations, taxes, therapy, and writing. After reading through this list, are there any unfilled niches you could fill by offering unique services? Can you see an opportunity in the market by expanding to a wider audience? Can you improve on the services already being offered? Could you offer something extra or combine services to better fulfill clients’ needs? Based on your skills and experience, what niche could you occupy and dominate? Once you have found your consulting sweet spot, don’t get too ahead of yourself. Before you declare yourself an “ethical hacking consultant” or a “yoga for finace consultant”, there are a few more steps you need to take. This next step is one of the most crucial points on your journey to becoming a successful consultant, and it is intricately connected to Step 2. Before you take the plunge, determine whether or not there is a market of individuals and businesses looking for your expert advice. If so, are they the kind of clients who will be able to consistently pay you what you and your services are worth? Take the time to analyze your potential clients. Are they individuals? Small businesses? Big companies? Non-profits? Will you only accept clients with a certain number of employees or level of revenue? Are your clients local, national, or international? What are their habits, qualities, weak points, goals, needs and desires? Will you work to build a long-term consulting relationship, or will you offer services that allow clients to receive help once or twice and then move on? Don’t get discouraged if it appears that you don’t have a mass audience for your services. It may seem like a good idea at first to appeal to the mass market, but you’ll quickly find that doing so just makes you another fish in a very big sea. You need to set yourself apart from the crowd by doing something unique. While this may reduce your mass appeal, it will help you narrow down to the specific group of people you can help. Knowing who those people are is paramount to finding the right niche for your consulting business. In his original article, Anderson argued that popularity no longer has a monopoly on profitability. And he’s right. Because of the vast reach of the internet, it is now possible to find clients looking for exactly what you offer no matter where either of you are located. That means that the “yoga for finance” consultant doesn’t have to plaster an ad on a local bulletin anymore and hope that enough people in their geographical area will see the ad and be interested in the service. Instead, the consultant can run a Facebook ad, set up a website, or maybe even guest blog and quickly begin to reach folks in Russia, Japan, London, and San Francisco who are all interested in the benefits of yoga on financial planning. And, because of the internet, the yoga/finance instructor can distribute their services to every single one of those individuals on the same day at a fraction of the cost. So, while “yoga for finance” might not appeal to a mass audience, the internet ensures that the consultant’s message and services reach the exact people who are looking for them. And that audience is often much bigger than you ever imagined it to be. However, don’t skip this step based on blind faith in the interwebs to help you find your clients once you’ve set up your business. Do the research first to know if they are there (and are willing and able to pay) before you fully commit. Why your client should hire you before anyone else? To Teach: Your clients want you to transfer your expert knowledge to them so that they can do the work themselves. This particular type of “consulting” can take the form of automated training courses, public speaking, books, blogs, or even one-on-one discussions and trainings. You may be hired to teach a new business owner one-on-one, or you could be hired to train an entire division in a large company a particular skill set. To Guide: Your clients will expect you to help them create a plan that you will then guide them through. Guiding is similar to teaching in that you are helping the client learn the process and do it on their own, but it is much more involved on the consultant’s end. You may have automated trainings and many of the services a teacher will provide, but you will need to know your client and their needs at a much deeper level when you guide versus when you teach. A time management consultant who takes on the role of “teacher”, for example, will explain to a client the basics of proper time management. 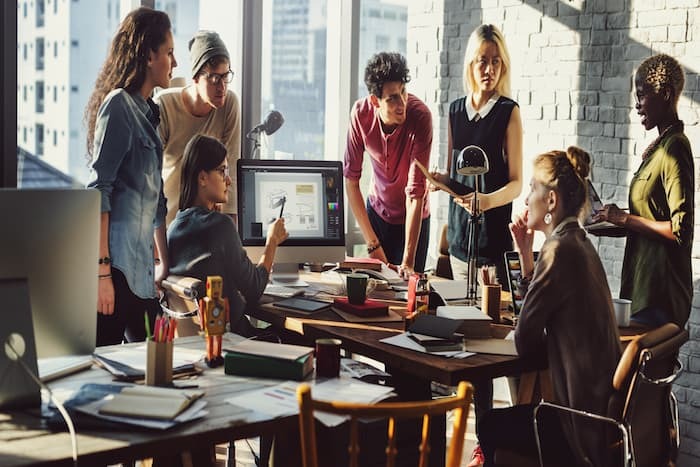 They may be hired to give a company presentation or will create a course that small business owners can take online to improve their productivity. A time management consultant who takes on the role of a “guide”, on the other hand, will sit down with a business owner and create a client-specific plan for time management within the business and help guide them through the plan as the business grows. To Provide a Service: Your clients need you to actually do the work for them. This is often the case when a business opts to supplement staff instead of hiring someone full-time (avoiding the extra costs of training and benefits). For example, instead of bringing in a consultant to teach or guide them through the process of setting up and running ad campaign themselves, they simply hire an advertising consultant to consult with them on the best plan of action and then to do the whole thing for them. To Diagnose: Your clients hire you because they have a problem that they can’t quite pin down on their own. Perhaps their business is not growing as quickly as they expected or they are experiencing unusual amounts of conflict among employees. They hire you to observe their business — whether that means going through their financial records, observing employee interactions, or assessing their business setup — and then to diagnose the problem and provide a solution. From there, they may need you to guide, teach, or fix the problem yourself, but your selling point is as the business doctor who can objectively find and diagnose the issue. To Be the Outsider: Your clients hire you because you can do from the outside what they cannot do as an “insider”. Perhaps they know that cuts need to be made, but they don’t want to be the one to make them. Instead, they hire a human resources consultant to come in and be the person that everybody hates. Or, perhaps they are looking to make more positive changes, but they need an objective outsider to come in as the catalyst or the expert who knows how to bring about that change. You already did the preliminary work to check whether or not you need a license or certification to practice as a consultant in your field. If you don’t already have that license or certification, now is the time to go out and get it. This step comes after you determine your target audience and what services you’re going to provide because how you deliver your particular expertise will often determine whether or not you need a license or certification. For example, there is no obligation for a tax consultant to obtain an official certification or license. An accountant, on the other hand, must be certified. 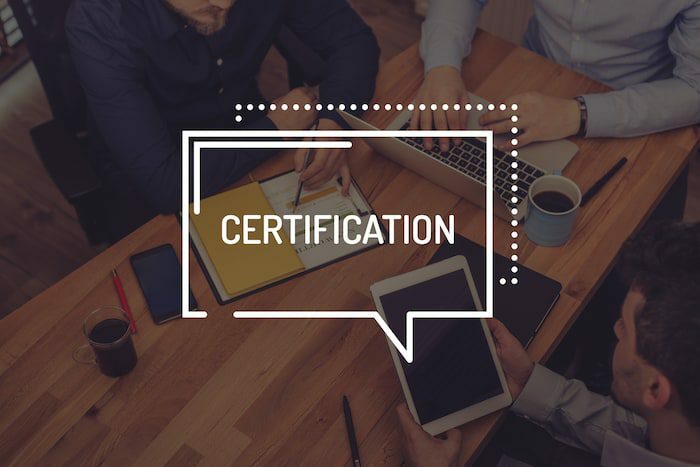 If necessary, you can design your services to include a network of highly qualified individuals who have the certifications, licenses and degrees you may lack. In the case of the tax consultant, they may work hand in hand with a CPA and other professionals to carry out the plans that they design for their clients. In its most basic form, your financial strategy should include the prices of your services, how you will charge your clients for those services, and how you will both receive and make payments. First, what prices will you charge your customers? To begin, you should list all of your expenses. 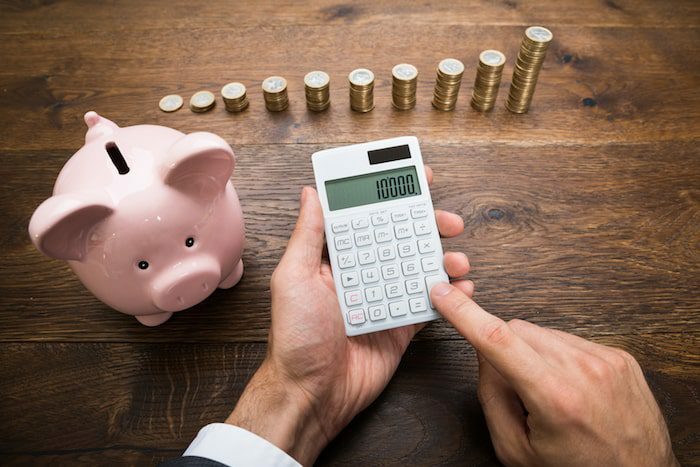 Once you know the cost of running your business, you can then calculate how much you will need to charge in order to reach your income goals. Then, consider your experience and qualifications, your target market and general market conditions. Check out the competition to know how your prices and services compare. If you are just getting started, you may want to charge lower fees, but not so much that you drag yourself into a race to the bottom. Know what you are worth and don’t be afraid to ask for it. As your reputation grows, you can increase your prices. The other pricing question to take into account is how you’ll charge. Once you no longer receive a salary, you’ll be amazed at the many ways you can charge for your work. You can charge a flat rate per project, a retainer fee, an hourly rate, application fees, or even a per word/page/ or audio minute rate. You could also consider results-based payment such as percentage ownership of a client’s business or royalties from a product such as a book. Some consultants also include a miscellaneous line item in their fees for any unexpected costs that may come up. Once you know how much you’ll charge and how you will present those costs to your clients, you will need to decide on a payment and billing system. Some consultants may choose to completely outsource this task and hire an accountant to handle all accounts receivable and payable. Others will choose to tackle the task on their own, and many will find a combination of both strategies works best for them. Either way, you will need to decide before you go too far in your career as an independent consultant. Fees, invoices, expenses, and more will quickly pile up and if you do not have a system in place to handle it all, it can get real messy real fast. To start, create a schedule for when you will send invoices and make payments each month. Then, find a system that fits your business needs. A tool that helps you manage every element of your personal finances: account management, spending, bills, planning, investing, and property/debt. The most significant improvement in the Quicken 2017 lineup is a redesigned user interface, which is a welcome enhancement. Expensify makes it easy to keep track of your business spend with one-click receipt scanning technology – just snap a photo of each receipt and you’re done! If you’re planning to hire employees and grow the team then Expensify offers full-fledged expense management software for teams big and small. But if you’re just starting out and simply need to track business expenses, then download Expensify for easy, on-the-go receipt tracking. Wave helps small business owners and entrepreneurs manage everything about their business finances. Wave provides 100% free, unlimited software (invoicing, accounting, receipt scanning, personal finance), with optional financial services like payment processing, payroll, and lending. Marketing is telling the world you are a rock star. Spread the word! The next step is to figure out how you will get the word out about your consulting services. Decide on a budget before you start, because the options are endless. If you are marketing your services to an audience within a geographic area, you may be served by the traditional advertising avenues of print media. Brochures, newspapers, magazines, and even newsletters are a great way to get your face out there. Online advertising is one of the most powerful tools available to consultants today. 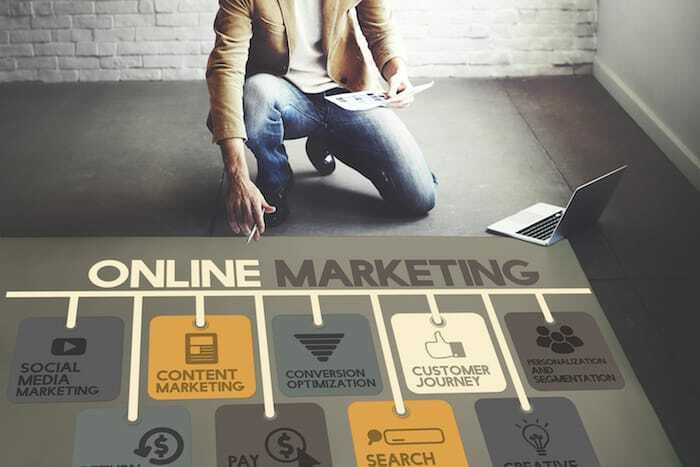 Based on your niche and your ideal client, you can use YouTube, Facebook, Google Ads and many other advertising services found online to reach your target audience. You could go one step further and build a website to serve as a digital business card, or even write a blog or create video trainings to provide value to a wide audience of potential clients. You can also use social media platforms to build a following and connect with your potential clients on another level. Never underestimate the power of networking. Ask friends, family and old co-workers for referrals and learn to master the cold call. Reach out to influencers in your industry and find ways to get your name out there, whether through a guest blog or a public speaking opportunity. Finally, one of the best ways to establish yourself as an authority in your field is to write a book on the subject. You may be surprised how natural it will come to you to share your expert advice through writing. Start by brainstorming the ideas you would share and form those ideas into an outline. From there, you can break the writing process into small chunks and even outsource much of the work. Nothing says expert like a published author, and if a client is deciding between you and your competition, there’s no doubt they’ll choose you. A book just may be the most powerful business card of the 21st century. What is the best way to operate? While you have already set up your pricing and billing, now it’s time to make the full system operational. 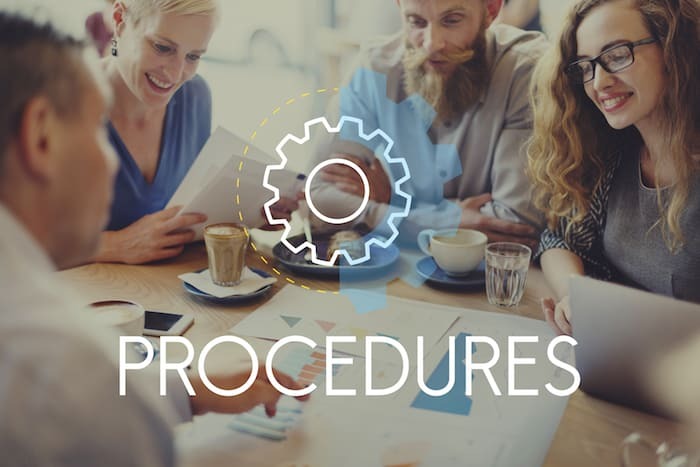 Whether you will outsource work from the beginning or do so only as your consulting career grows, you should establish clear standard operating procedures (SOPs) from the start. Decide how you will handle work when it comes in. As you learn what works best, document those practices so that you can replicate them down the road. As you build your business, those SOPs will create a strong foundation for growth and training purposes. If necessary, hire a CPA and attorney that specializes in your area and who can advise you on regulations specific to your industry and country. They will help you know if there are any special procedures you should put in place, as well as help you create legal contracts that you can then use with each client. Check out Sweet Process as a helpful tool for creating SOP’s and sharing them with your employees. Tax planning comes before incorporating your business or setting up your business bank accounts because it directly impacts both decisions, especially where you will incorporate. Whether you simply prefer to donate your money to the charity of your choice or you want to reinvest as much money as possible back into your business, it is wise to find ways to legally reduce your taxes. Consider having an offshore corporation. Become tax non-resident in your home country. Have an accountant that specializes in expat tax law. While it may be tempting to do business in your own name, you should create a legal entity for your business to protect yourself from being personally liable for your business. 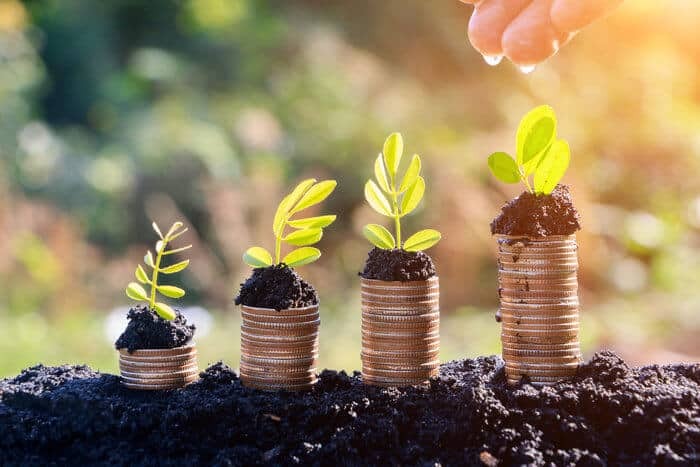 After all, if you are optimistic about the success of your business, it is worth taking care of it during its infancy and building a solid foundation. Setting up your company the right way from the start will save you time, money, and a whole lot of trouble. 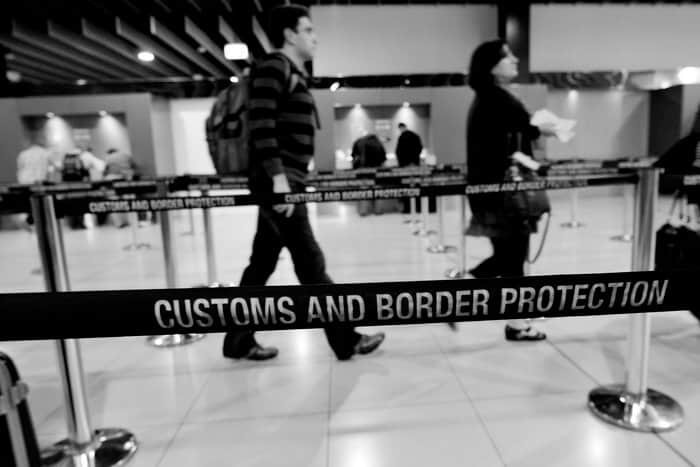 There are many benefits to incorporating your business overseas. For one, it allows you to place another barrier in terms of liability between you, your business, and the litigious nature of many western societies. It also means that you can choose how you’re going to be taxed. Most people don’t realize that they have the power to decide how they want to be taxed, but it’s all dependent on where you incorporate your business. If you want the cleanest, most legal tax benefits, the best option is to incorporate your business overseas and personally relocate as well. There are so many countries where you can incorporate that where you choose to set up your business will depend greatly on your personal situation. Your options range from more “onshore” jurisdictions like Hong Kong, Estonia or even Georgia, to the traditional tax havens like British Virgin Islands, Belize, and Seychelles. My general opinion is to move away from tax havens with little accountability and toward onshore jurisdictions that allow for zero tax in some circumstances, or very low tax in others. The final system you should put in place for your business is your business banking account. It is important to keep your consulting income and expenses separate from your personal banking. And, just as incorporating your business overseas can benefit your business, so too can opening a foreign bank account. Foreign bank accounts allow for political risk diversification, asset protection, currency diversification, and even higher interest rates. Most importantly, many foreign banks offer better, more secure service. The best offshore banks will require higher initial deposits, but if you plan to incorporate your business offshore, you will need an offshore bank to maintain the tax benefits. Check out our post to get more details on how to open a bank account overseas. As their businesses expand, a great deal of independent consultants choose to outsource many aspects of their day-to-day operations to virtual assistants. There are numerous benefits to outsourcing work, first and foremost, it allows a consultant to focus their full attention on what they do best — which is usually what generates the most amount of money too. Outsourcing also grants you the freedom to get out of the “office” without worrying that things won’t get done. Bringing more people on board also gives you access to more perspectives than your own, creating synergy and greater progress. So where can you find the best employees? From experience hiring folks from countries across the globe, I have found that the best place to hire is in the Balkans. In countries like Montenegro, Serbia and Macedonia, English proficiency is high and the labor force is highly educated. However, wages are still incredibly low, which means that you can offer people there a very decent wage for the area and still walk away paying much lower prices than you would for someone less qualified in the United States or other western countries. While you can certainly hire someone for much cheaper in a place like the Philippines, I have personally found that you get what you pay for. Hands down, my favorite place to hire is in the Balkan region of Europe. No matter how good your hire, much of your success will depend on those SOPs you set up back in Step 8 and how well you train your new employees. Have clear guidelines and honest expectations. It may take some time to find the right virtual employees – just like hiring “regular” employees – but, in time, you’ll be able to delegate tasks to them without the need for a middleman and your business will be able to grow at an unprecedented rate. Furthermore, as suggested throughout this article, it is also wise to turn to experts to build your business. In order to be a good consultant, be willing to work with other consultants. And that means paying them too. Don’t cheap out when it comes to getting the right advice to make your business grow. Getting out of the office and building your own business is just the tip of the iceberg when it comes to the benefits of being an independent consultant. The biggest advantage of going independent is that you are creating a business you can take anywhere. Sure, you have low overhead expenses when you don’t have to worry about paying rent or utilities for an office. And your stress levels will plummet when you can completely eliminate your rush-hour nightmares. But none of that compares to the flexibility and freedom you gain by becoming location independent. Running your own independent consulting business is not for everyone. It is for the entrepreneurial at heart, the risk-takers, and those confident enough in their skills to promise excellence and deliver it. Still, most people have not even considered the possibility of earning a solid income while traveling through Italy or soaking up the sun on a tropical island, but that’s exactly what you will gift yourself by building your career as an independent consultant. No matter what industry you’re in, drafting proposals is most likely a part of your business. Bidsketch helps companies cut their proposal time in half with the emphasis on customizability which makes it easier to create comprehensive documents. Talking about that document signing! DocuSign is the pioneer and global standard for eSignature and Digital Transaction Management. With more than 300,000 customers and more than 200 million users across 188 countries, DocuSign helps individuals and organizations of every size, industry, and geography to go digital to accelerate the process of doing business. Zendesk is cloud-based customer service platform. It creates, handles and tracks customer tickets from a variety of sources: mobile devices, the internet, email and social media. This allows your customers to contact your company in the method that is most convenient for them. When tickets are submitted, your agents can easily grab the next available one and get to work. Project management and Team Software, which we personally use. It makes it easy to keep track of what it is done by another team member, asign tasks and to-do’s with deadlines, create different projects and discussion to keep everyone up to date with what is going on in the company, no matter where you are at the moment. A helpful tool for organizing your life and decluttering it, as their website explains it., not only in professional, but in personal life and projects as well. Take notes, create to-do lists, and save things you find online into Evernote. It also syncs everything you save from all of your devices in use. Online graphic design platform where you can order customized business cards, thank you notes, logos as well as create websites and applications. 99designs helps you find and work with freelance designers online. Also, they guarantee delivery 100%, or you get your money back. A helpful tool for any application process you may have in mind, from hiring an employee, to conducting a survey for customer satisfaction or market research. It makes it easy afterward to track the results, publish it or filter it as needed. ZipRecruiter is a website helps businesses find employees and job seekers to find employment, and to make the process as simple as possible for both parties. If you work best in an office, look into our lists of the best coworking spaces in Southeast Asia, the United States, Canada, Europe, Africa, and Central and South America.